A Scania G 410 4×2 tractor recently managed to set a new fuel consumption record in a single test performed by Gerhard Grünig for the renowned German magazine “Verkehrs Rundshau” (4/8/2013). 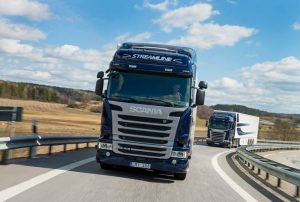 At the demanding test route north of Munich, the Scania semitrailer managed to reach an average fuel consumption of 24.2 litres per 100 km/h with an average speed of 72 km/h – a new record, almost a litre lower than the previous record (regardless if we are talking Euro 5 or 6)! This magnificent feat was achieved with the SCR only, 13 litre 410 hp engine that is specially designed for European long haulage fleet customers. The test vehicle was a Scania Streamline with Scania Opticruise and Scania Active Prediction. The truck sported a 2.59 rear axle ratio and weighed 7,260 kg in the test, the GTW were 39,260 kg. 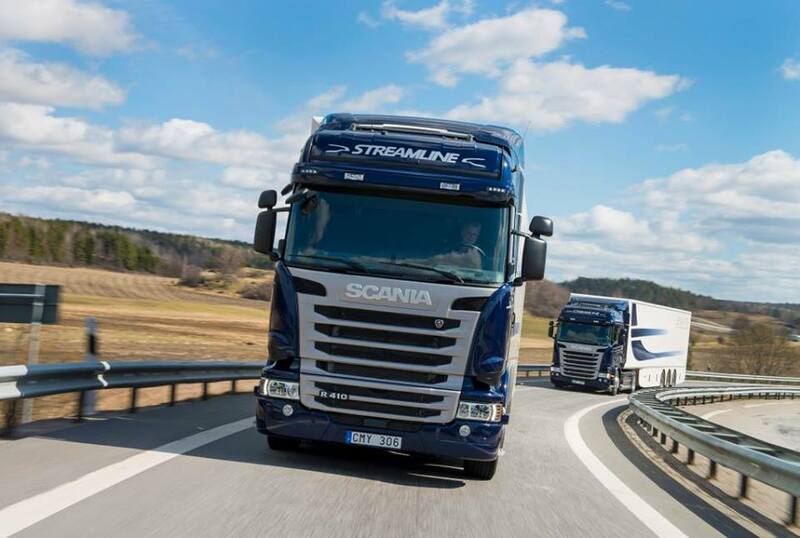 For more details visit Scania fuel economy and Fuel economy – the Scania way.